The Saweni-based campus, outside Lautoka , will remotely facilitate the accredited programmes via POLHN. Taking the nursing profes­sion to a higher level in order to rival the ever evolving changes in the world is behind the University of Fiji’s new online Bachelor of Nursing programme. University of Fiji, in collabora­tion with World Health Organisa­tion (WHO) under Pacific Open Learning Health Net (POLHN), will be offering the Bachelor of Nursing programme as an online course to students throughout the region. 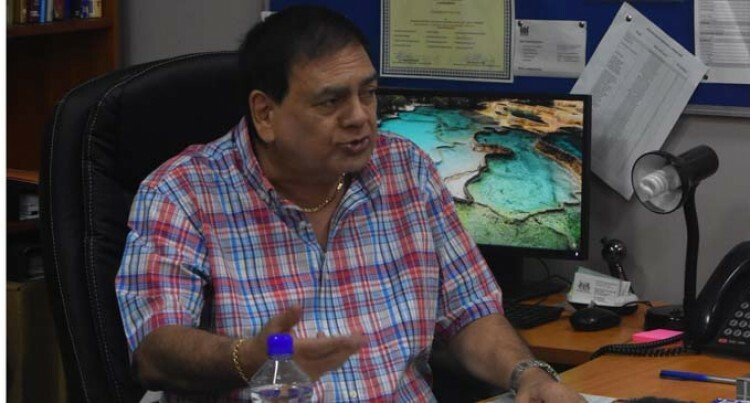 UniFiji Vice-Chancellor Profes­sor Prem Misir said the universi­ty aimed to provide diverse oppor­tunities to people in related fields to advance their careers and im­prove the care that the health pro­fession provides throughout the region. “This partnership will advance nursing standards and improve patient care in the region as well as worldwide. Our aim is to pro­vide nurses and public health workers diverse opportunities to advance their career and also equip them with knowledge to make informed health-related de­cisions,” said Professor Misir. The Saweni-based campus, out­side Lautoka , will remotely facil­itate the accredited programmes via POLHN. Professor Misir is urging stu­dents who are interested in tak­ing up the course to apply for the programme. “We have received a large num­ber of applications already for the programme. . The course is available for enrol­ment and scholarships are being offered by the POHLN.